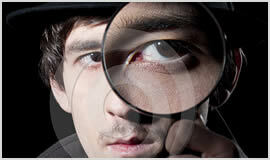 Choosing a Blackpool based professional detective can seem a tricky task but is actual really straight forward. To find the best Blackpool based professional detective look for a range of expert services coupled with local Blackpool based experience. At Private Detective Blackpool we definitely have both. We offer a wide range of local services from, Blackpool deployed vehicle trackers, surveillance services in South Shore, bug detector sweeps in Poulton-le-fylde, to lie detector test in Staining. We are the most professional detective based in Blackpool. We cover all areas of Blackpool, including South Shore, Poulton-le-fylde, Staining and Singleton. Contact us now on our Blackpool phone number, 01253 320 061 or by email at contact@privatedetective-blackpool.co.uk.